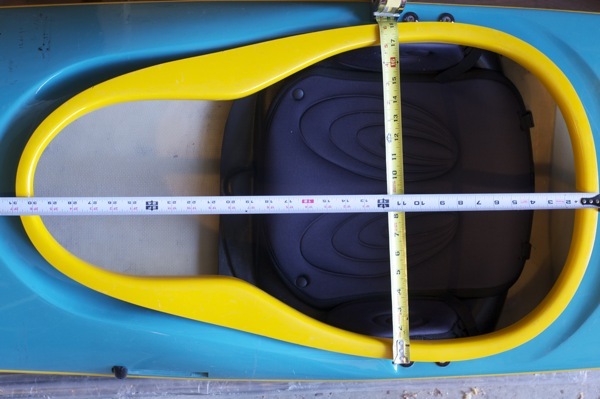 Every boat has issues; part of being a paddler is troubleshooting your boat's quirks. 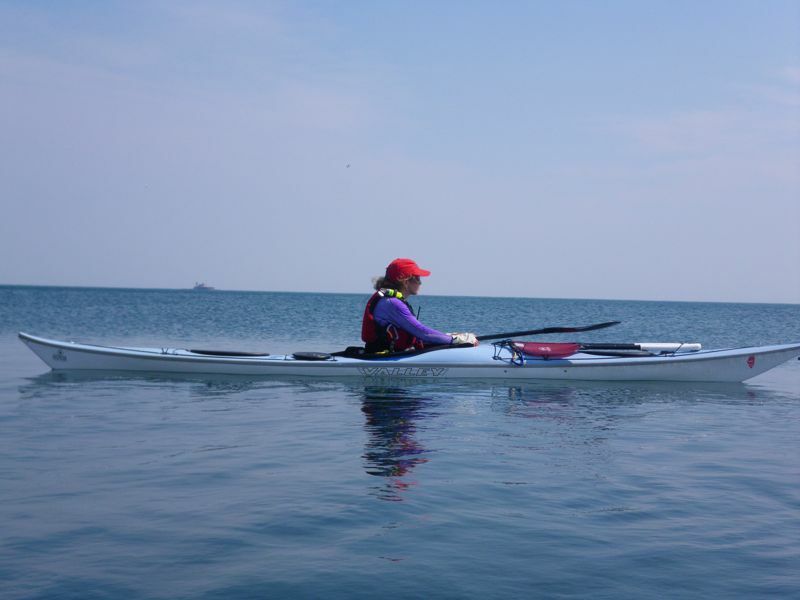 For me (Sharon), the Valley Avocet LV is an almost-perfect boat for coaching, day trips and playing in the waves. But I've never been able to get a good seal from any spray skirt on its curvy coaming, so I always end up with a cockpit full of water. I've tried several solutions, including spray foam, roll foam and various skirts, with no success. 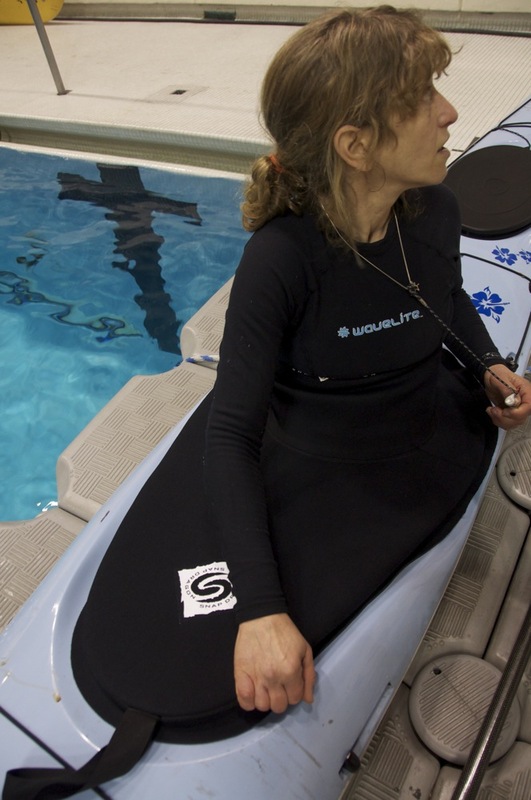 Then a friend suggested I try a whitewater skirt in which the neoprene extends beyond the bungee and might deflect the water that continues to sneak in. We've always loved Snap Dragon skirts, so we checked out what that USA-based company offers first. 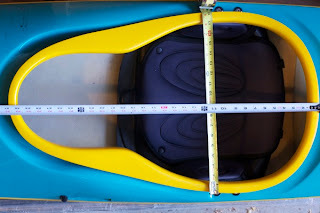 Sure enough, its Lip Lock EXP whitewater skirt had the feature we were looking for, but it was sized for whitewater boats and not for the unusual coaming size and shape of the Avocet LV. This is one of those times when small is beautiful. Despite its large stature in the paddling world, Snap Dragon is basically a little shop outside Seattle. Rich Wilson began the company in the 1980s because he needed gear he couldn't find, and he's still there and very hands-on. We called Rich and described the problem. He asked us to send him the exact dimensions of the coaming. The photo we sent, along with dimensions. A couple of weeks later, a custom Lip Lock sea kayak skirt arrived in the mail. Got the skirt. Where's the boat? 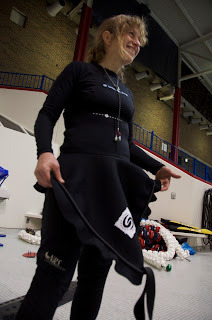 It's not the season for putting s skirt through its paces in rough water here in Chicago, so we took it to the pool and spent a couple of hours bracing and rolling. The cockpit stayed dry! The skirt has all the qualities that have endeared us to Snap Dragon: a 3.5mm neoprene deck, sewn-in cord, and seams taped inside and out. They've proved very durable, and I'm looking forward to many seasons with a dry cockpit. The Lip Lock skirt covers over the curvy park of the deck and the gap between it and the coaming. 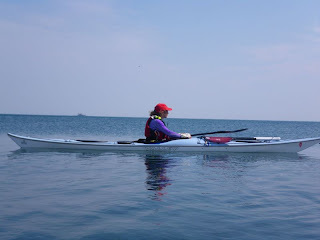 It's worth pointing out one of the morals of this story: Small paddling companies are very responsive to individual paddlers' comments and requests. Sure, it helps if you're a coach (and probably also helps if you have a blog), but these companies know that theirs is a very small and dedicated market. They appreciate hearing how their products are working out, and they're often willing to help solve problems that affect some number of their customers.